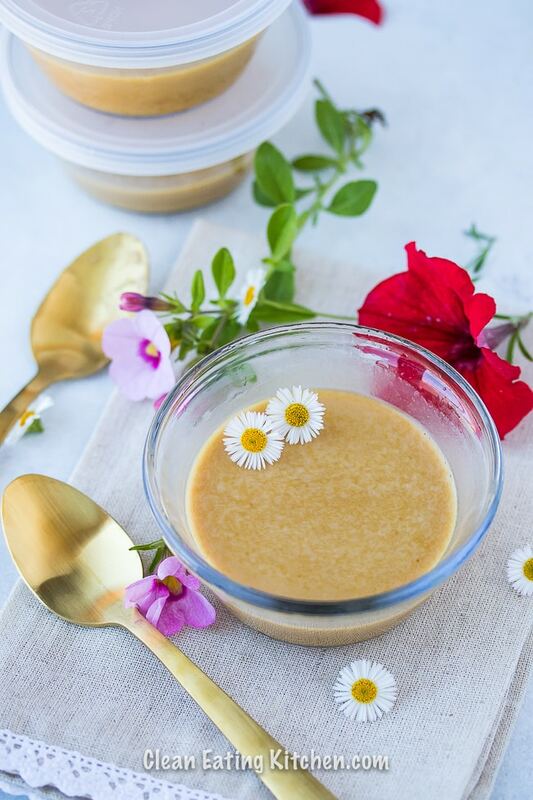 This 4-Ingredient Coconut Panna Cotta is one of the easiest dairy-free recipes you can make! It has quickly become a favorite paleo, no-bake treat in my house. What a hot summer it’s been so far, and it ain’t over yet, friends. I hope you are finding ways to stay cool. One of my strategies is making pressure cooker meals as often as possible, in addition to finding easy, no-bake recipes as well! Some of my favorite easy no-bake refreshers are my 2-Ingredient Pomegranate Lime Popsicles, and the other one is my Watermelon Slushy recipe. This easy, no-bake Coconut Panna Cotta also fits the bill for a cooling summertime treat. Panna cotta just sounds fancy too, doesn’t it? 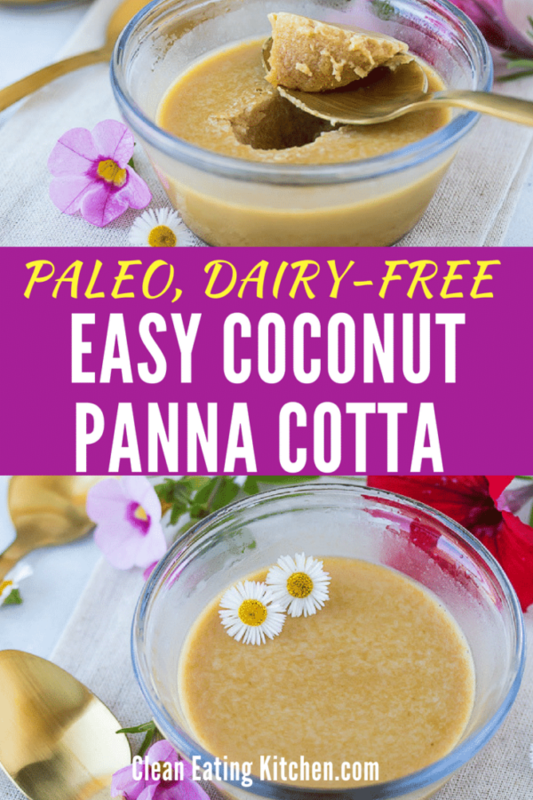 Traditional panna cotta is made using heavy cream and gelatin, but I used coconut milk and gelatin instead to keep it dairy-free (have you listened to my latest podcast episode about the health reasons for going dairy-free)? 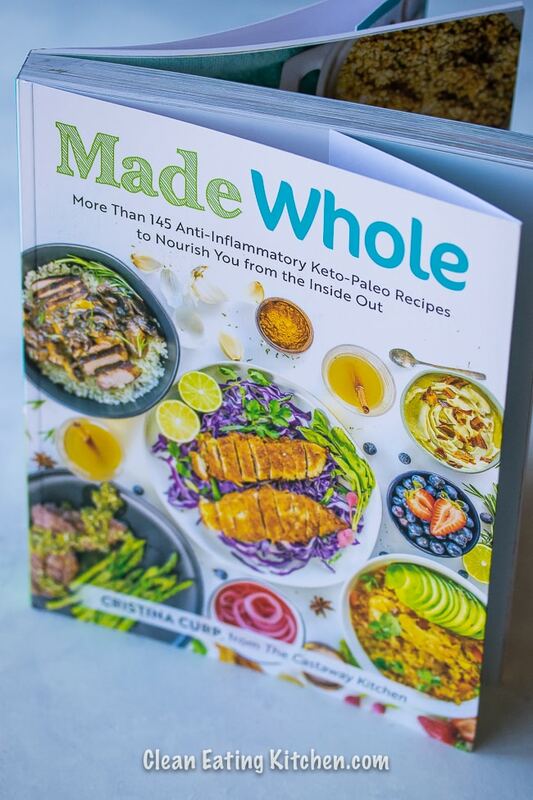 The inspiration for this recipe came from my friend Cristina’s new cookbook called Made Whole: More Than 145 Anti-lnflammatory Keto-Paleo Recipes to Nourish You from the Inside Out (affiliate link included). 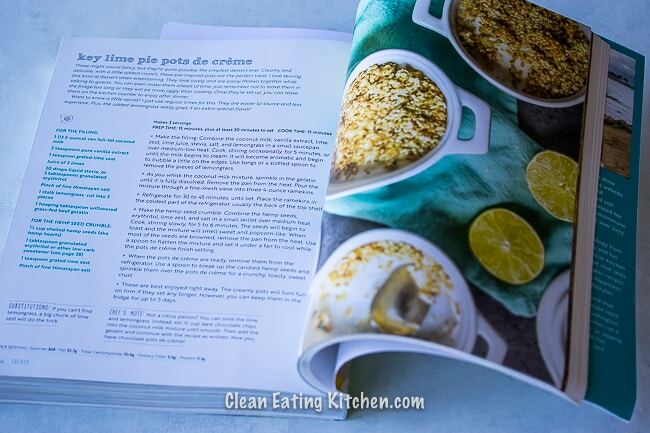 Cristina shares so many real food, healthy recipes in her book, including her Key Lime Pots de Creme that I used as the inspiration for my dairy-free, egg-free, and paleo Coconut Panna Cotta. 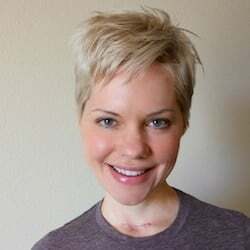 Besides her gorgeous recipes, I enjoyed reading more about Cristina’s journey to how she recovered her health and the diet choices that have helped her. Although I’m not a big fan of the keto diet for most women, it’s helpful to me to learn how keto has worked for Cristina and to remember that everyone is different! Cristina recommends erythritol as the sweetener for her dessert recipes, but I used coconut nectar for my version. I have found after so many tries that my body doesn’t tolerate any kind of non-nutritive sweetener, darn it. 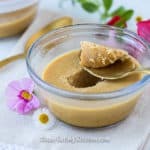 So, I try to use the least processed types of sweeteners in my dessert recipes, including dates, date sugar, coconut sugar, maple syrup, raw honey, and coconut syrup (also called coconut nectar). This recipe is just about as easy as it gets! Not only does it have only four ingredients, but it has four easy steps! First, heat the coconut milk, coconut nectar, and vanilla extract on the stovetop. Next, whisk in the gelatin and remove the mixture from the heat. Pour the mixture into ramekins or custard bowls. Chill the panna cotta until it reaches the desired consistency, about 10-15 minutes, Enjoy!!! Depending on how firm you like the texture of a panna cotta, you can chill it from 15 minutes to longer. The longer is stays in the fridge, the firmer it will get. My husband doesn’t like jelly textures, but I love them. If you’re a fan of jello-type desserts, then you’ll adore this dairy-free coconut panna cotta. 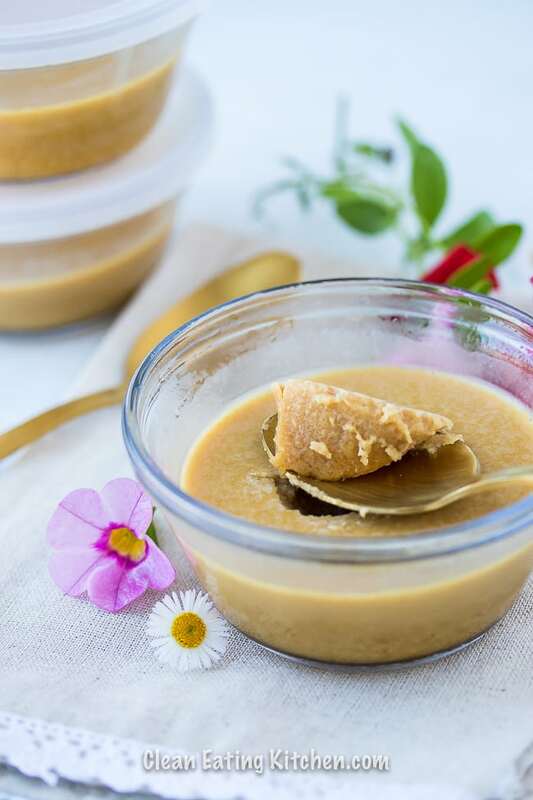 Combine the coconut milk, vanilla extract, and coconut nectar in a medium-sized saucepan. Use a whisk to stir in the gelatin until it is completely dissolved. 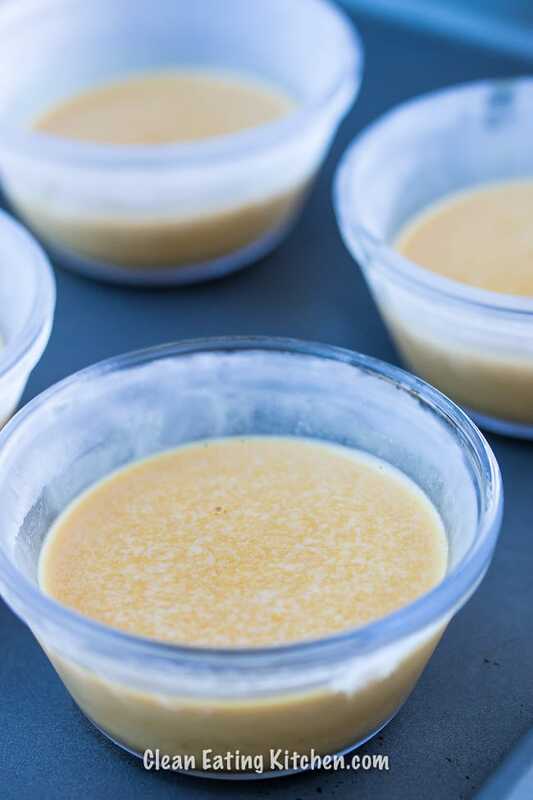 Remove the mixture from the heat and pour into six custard bowls. 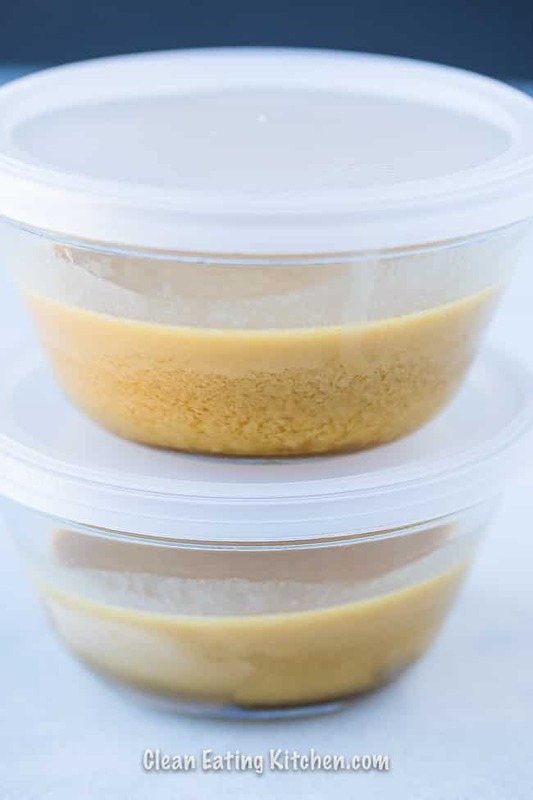 Place the bowls in the refrigerator for 10-15 minutes until the mixture has chilled slightly and thickened to the desired consistency (the panna cotta will continue to thicken as it cools).